After conceding the top spot in economic growth among major economies to China for a year in 2017, India is likely to regain the position in 2018 with growth expected to accelerate to 7.3% in the year, according to the World Bank’s Global Economic Prospects released on Wednesday. The World Bank report projected China’s economy to further slow down to grow at 6.4% in 2018 from 6.8% in 2017. The multilateral institution, however, revised downward India’s growth estimate for 2017 to 6.7% from 7% projected in October last year, blaming “short-term disruptions from the newly introduced GST”. To be sure, the estimates are on fiscal year basis for each country which means while for India 2017 is 2017-18 (April-March), for China 2017 is the calendar year. India’s statistics office on Friday projected Indian economy to slow down to 6.5% in 2017-18 from 7.1% a year ago on the back of lingering impact of demonetisation and disruptions caused by implementation of the goods and services tax (GST). Direct tax collections grew by more than 18% in the first nine months (April-December) of the fiscal year 2017-18 to two-thirds of the full-year target, which is expected to provide a breather to the government as it struggles to contain the fiscal deficit. The World Bank said strong private consumption and services are expected to continue to support economic activity. “Private investment is expected to revive as the corporate sector adjusts to the GST; infrastructure spending increases, partly to improve public services and internet connectivity; and private sector balance sheet weaknesses are mitigated with the help of the efforts of the government and the Reserve Bank of India,” it said. It said over the medium term, the GST is expected to benefit economic activity and fiscal sustainability by reducing the cost of complying with multiple state tax systems, drawing informal activity into the formal sector, and expanding the tax base. “The recent recapitalization package for public sector banks announced by the Government of India is expected to help resolve banking sector balance sheets, support credit to the private sector, and lift investment. The global trade recovery is expected to lift exports,” it added. 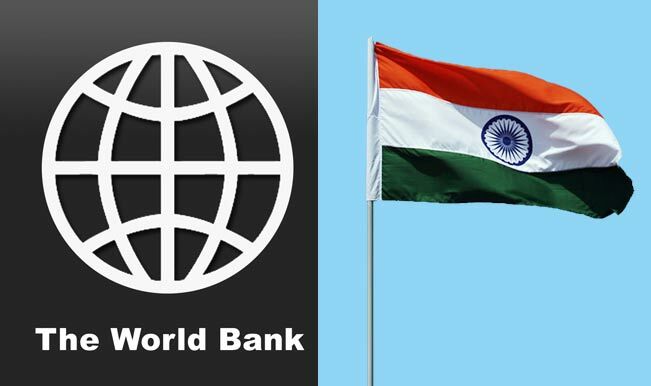 1 Comment on "World Bank says India to be fastest growing economy again in 2018"
Go ahead my dearest India.